We were very lucky to arrange an interview with bassist Roger Glover to pick his brains for our upcoming book on Deep Purple’s Machine Head album recently (Fire In The Sky.) The band played a handful of British concerts during November, so me and Stephen Clare spoke to Roger at length at his hotel in Manchester (once we’d got past security – which was not for the group, but Manchester United, who use it as a staging post to collect players together prior to matches apparently!). We did warn Roger that this was likely to be a fairly tightly focused chat, and for two hours he did his best to recall tiny details of the albums sessions for us under a John Humphrey style questioning. This has given us a lot of new information and will help add extra details to the narrative. I took along a little digital voice recorder which seemed to work fine, but when I opened the audio files on my computer was horrified to see they were all dated 2009, and assumed the worst. Then I realised I didn’t have the recorder in 2009, and had just neglected to set the machine’s auto file dating option! The interview had come out OK, and while it won’t win any Sony Radio awards, is perfectly fine for what we need. We are working for a publication date in early 2018. It probably looks from the sometimes slow postings here that we’re not up to much, but truth is we’ve been astonishingly busy on projects for our other imprint, ST33Books. These are not available in stores, and are limited run large format titles. After numerous teething problems our first title on the rock band Yes (titled Yes : Dialogue) is now shipping and getting a fabulous response, see the comments below. Over half the run of 600 copies have been shipped since it came out three weeks ago. Nip over to the site and see what we’re up to. And that is indeed an exclusive to us Roger Dean piece of art which adorns the new cover. Now that this is mostly off my desk top I can get back to preparing the next three Easy On The Eye titles (and a long awaited reprint.) for the presses. IT LOOKS AMAZING!!!! Your team have really outdone themselves on the production; definitely worth the wait. I just wanted to say how impressive it is! 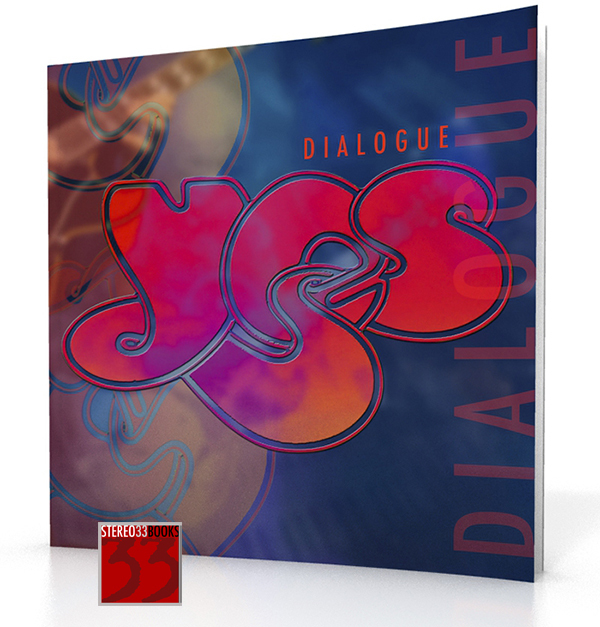 A must have for any collector of Rock history and a must must must have for Yes fans!! It’s a beautiful book. Oozes quality in all aspects. The book is simply glorious, well done! It really has been worth the wait to receive such a marvellous finished product. We had a couple of meetings last week with Graham’s manager as the group are currently on tour in the UK, and finalised plans for the book editions. We will send out a newsletter next week to subscribers with all the details (you can get on the exclusive mailing list by visiting the book page on the site). I’ve never been to a rock show in Skegness before, and apparently it is 49 years since Graham last played there as a teenager! We then took in a more regular concert in Leeds, and watched the band sound-checking beforehand, where this picture was taken. There is a review of the shows and more pictures on the Deep Purple site here.